The following networking opportunities are available to students and post-docs. These events are sponsored by RSA and organized by the Education Committee. EDUCATION COMMITTEE MEMBERS*: Graeme Mason – Chair, Jessica Barson, Rebecca Gilbertson, Nicholas Gilpin, Amy Herrold, Sarine Janetsian-Fritz, Molly Magill, S. Alex Marshall, Jennifer Merrill, Somnath Mukhopadhyay, Patrick Mulholland, Sarah Pedersen, Sarah Peterson, Joseph Schacht, Ryan Trim, Elisa Trucco, and Florence Varodayan. The 22nd annual luncheon for student will be held on Sunday, June 23rd at 11:40am. This luncheon provides an opportunity for students (undergraduate, masters, predoctoral and medical) to network with peers, senior investigators and members of NIAAA working in the various disciplines of alcohol research. Lunch is provided for each participant and a short program is arranged. The committee encourages all students to attend the luncheon and participate in these social and scientific interactions. Seating is limited and a ticket is required for students (not senior investigators). To reserve a spot and secure a ticket, select the Student Luncheon option when registering for the meeting (registration opens in March). The 19th annual Post-Doc dinner will be held Sunday, June 23rd from 7:30 to 9:30pm. The Education Committee organizes this informal welcoming dinner to provide an opportunity for post-doctoral fellows to meet and socialize with other post-doctoral fellows working in the various disciplines of alcohol research. The committee encourages all post-docs to take advantage of this networking opportunity. Dinner is provided by RSA and alcoholic beverages may be purchased onsite. Seating is limited and requires a ticket. To reserve a spot and secure a ticket, select the Post-Doc Dinner option when registering for the meeting (registration opens in March). 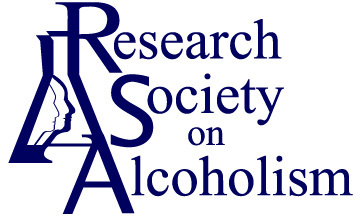 The Education Committee heads a mentoring program for students and post-docs attending their first RSA Meeting without an advisor or mentor from their lab or institution. Participants are assigned a mentor; who will meet with them during the morning coffee break on Sunday, June 23rd and continue to guide them throughout the meeting. This program, now in its 13th year, helps students and post-docs new to the field get oriented and acquainted with the Annual Meeting. To sign up for a mentor, check the ‘Meeting Mentor’ box when registering for the meeting (registration opens in March). The 22nd annual Grantsmanship Workshop will be held on Tuesday, June 25th at 11:00am. The Education Committee organizes this workshop to provide career-related information to both junior and senior investigators and to promote interactions between RSA and NIAAA. All are welcome to attend the workshop, but a limited number of box lunches (ticket required) will be available. To secure a ticket for a box lunch; while quantities last, select the Grantsmanship Workshop option when registering for the meeting (registration opens in March).